Your privacy is important to us. This Privacy and Cookies Policy explains what personal data we collect from you and how we use it. 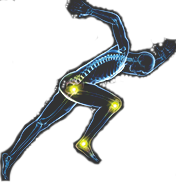 Moveology is an injury prevention and rehabilitation company, Treatments include: Osteopathy, Soft Tissue and Movement Therapies. We are based in St Albans and Swindon. Your interactions with us: if you contact us, we may keep a record of that correspondence. When you contact us, phone conversations maybe monitored or recorded. Consent Forms signed by you allowing one of our staff to treat you at one of our clinics is held for a period of two years, before being destroyed. By law. Your Treatment Records must be held by us in a secure/locked place for 7 years. After that period of time they will be disposed of via shredding process. Visits to our website: This includes, but is not limited to; Traffic Data, Location, our Blogs and other Communication Data, whether this is required for our own billing purposes or otherwise and the resources that you access. What allows us to process your information. We do not pass personal details to any marketing companies. We will only send you news of offers, promotions and advice articles via our Data Processor. In this instance the Data Processor we use is ‘Mail Chimp’. Mail Chimp are bound by GDPR regulations and if you would like to receive our newsletters then please opt in by either using the button in the GDPR email sent to you recently or by signing our consent form. With Medical Insurance companies such as Bupa, AxaPP, Simply Health or insurance company you claim via. Access: You have a right to know whether we hold personal information about you. Where this is the case, you may request a copy of your personal data we hold, as well as information about how long it is being used. Your request will be responded to within one calendar month of your request. Please note that we may require you proof of identity before we are able to provide any information. Rectification: Where information held about you is inaccurate or incomplete, you may request its rectification or completion. Erasure: In certain circumstances, you may request that your information be erased (subject to conditions). Automated individual decision-making/ profiling. You have a right not to be subject to a decision made based upon the automated means, without any human involvement. You also have a right not to be subject to a decision made based upon the automated processing of your personal data to evaluate certain things about you. These rights are subject so specific conditions, and in the rare cases where we may make decisions about you based on automated individual decision-making or profiling, you will always be able to request human intervention in the decision-making process, or challenge our decision. You are allowed to withdraw your consent to our use of your data at any time. If there is no other justification for the use of your data, we will stop using it. If you wish to raise a complaint on how we have handled your personal data, you can contact our CoOwners, who will investigate the matter. If you are dissatisfied with our response or believe we are not processing your personal data in accordance with the law, you can complain to the Information Commissioner’s Office (www.ico.org.uk). Moveology retain personal data for a minimum of 7 years (complying with government & our own governing bodies guidelines/legal obligations). We may transfer your data abroad if we have a legal obligation to do so. Those with adequate provisions to safeguard your personal data. Those contractually bound to protect your information. This policy was last updated on 22/05/2018. If we change our Policy and Cookies Policy, we will update the changes on our website. We may also place notices on other pages of the website so you can check our current policy at any time.